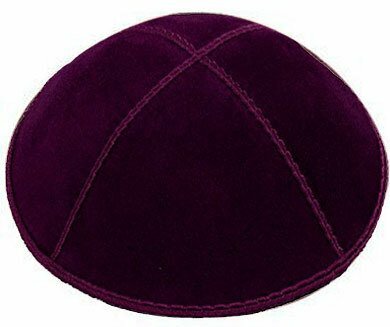 What’s Up With the Kippah?! The Yarmulka or Kippa is a bit like a wedding ring. A wedding ring is a sign that you belong to someone. If you think of your loved one all the time, do you no longer need to wear the ring? Is a ring only worn until you love each other enough not to need a reminder? 1) Just because you “know” that you’re married, doesn’t mean you won’t “forget” when temptation comes your way. 2) The ring isn’t only a symbol for the one wearing it. it also has a message for everyone else who sees it, that they should be aware that this person belongs to somebody else, so don’t mess. 3) If you see marriage as a burden, then you wear the ring like a ball and chain. But if you are in a relationship that is deep and real, then you wear the ring with pride, because the very existence of the ring means that there is someone out there that loves you more than anyone in the world. 1) Only a very holy person could be conscious of G d absolutely all the time. The rest of us need something very tangible to remind us that He is always there (this is for men, a woman is naturally more aware and sensitive to that which is holy and sublime). 2) It is also to identify ourselves as Jews in the eyes of those around us, that we “belong” to something and Someone. 3) And we wear it with pride, because the Jewish people has and deeply loving relationship with G d. True love is with you all the time, and you want to tell the world! The One Mitzvah you Can’t Do, Unless….